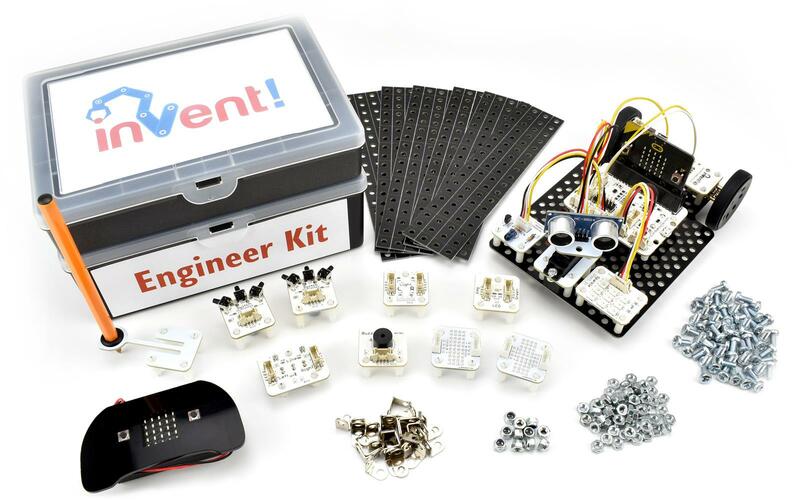 Designed for advanced users, the Engineer Kit includes every Invent! block there is, along with a modular construction system to create the mechanics of your inventions. 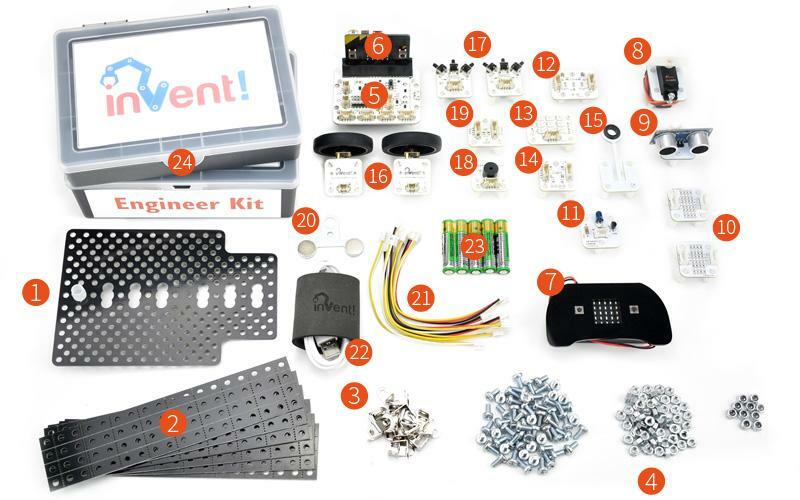 Use the high torque module, ultrasonic distance sensor, prototyping boards and construction kit to make your designs - almost anything is achievable!